I’ve got sad news for Cassandra Clare’s readers today. 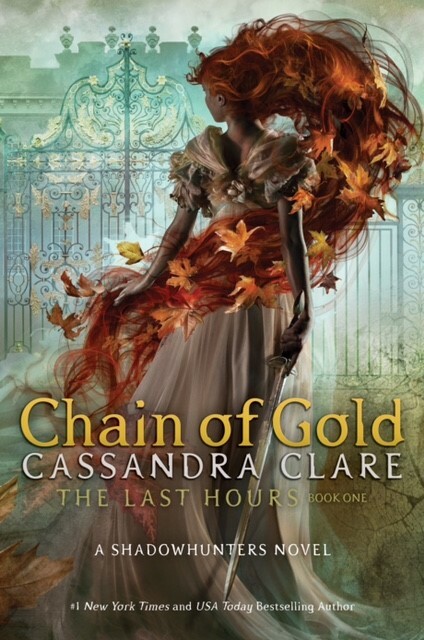 Cassie just sent an email to her newsletter subscribers to announce that Chain of Gold is unfortunately getting pushed back to 2020. It’s only four months, but I know it’s disappointing and upsetting to hear. All I can say is that, in order to try to keep the wait from being too painful, I’ll be releasing a free short story or piece of flash fiction from/about TLH and its characters every month starting in May of this year and ending in February of next year. Those who are on my mailing list will get the stories first —a few days later they’ll be posted publicly for everyone. While the 2020 release date is sad for readers who haven been waiting for The Last Hours, Cassie’s health always comes first and we wish her all the best for her surgery and a speedy recovery ❤ We love you, Cassie! If you want to, you can leave Cassie your well wishes in the comments below. I’ll be praying for a speedy recovery and will be wishing you well. I can relate to what you are going through. I have the same condition just had my surgery this April 11th I’m now recovering as well. Take care of your health first its whats important. Thank you for sharing with us. It’s important to take care of yourself first! Wishing you the best and a speeding recovery!